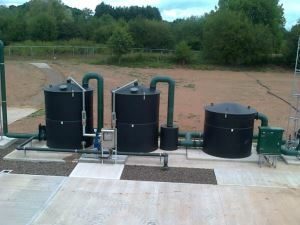 We recommend that these reheaters are used in conjunction with a biogas cooler. 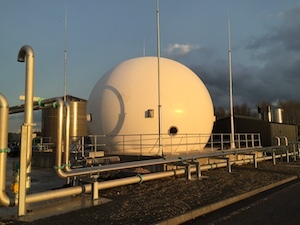 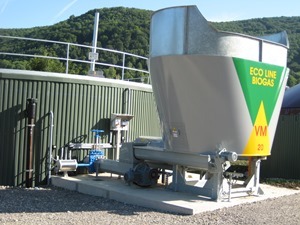 Reheat biogas: Digester produced biogas is 100% water saturated. 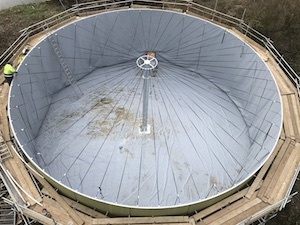 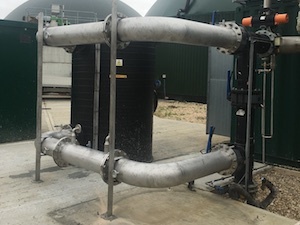 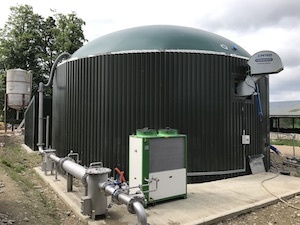 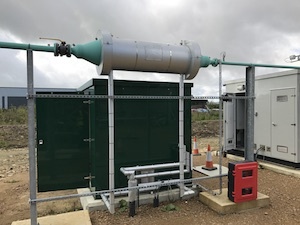 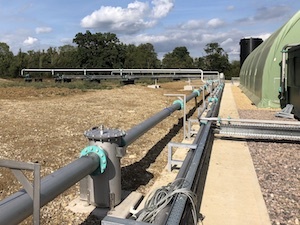 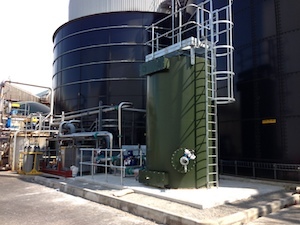 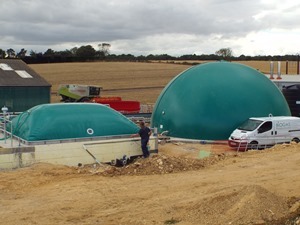 The naturally cooling biogas, moving from the digester to the engine, will release large amounts of water into the gas pipework system, which has the potential to block pipework and damage mechanical plant. 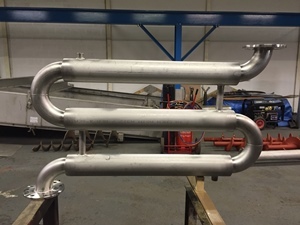 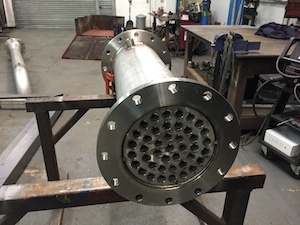 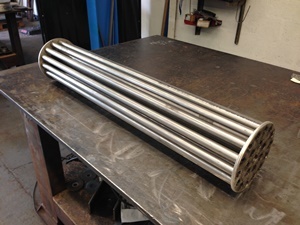 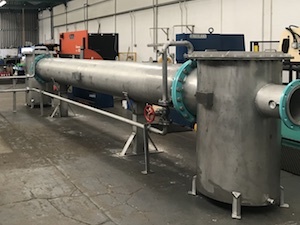 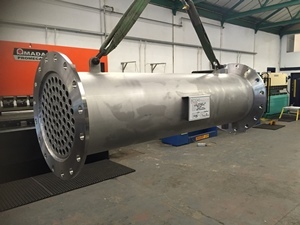 To reheat biogas and reduce the relative humidity, after natural or forced biogas cooling, we can provide a hot water / biogas tube shell heat exchanger, manufactured in 316 Stainless Steel. 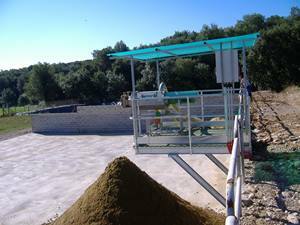 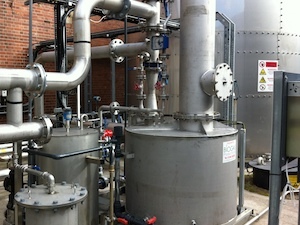 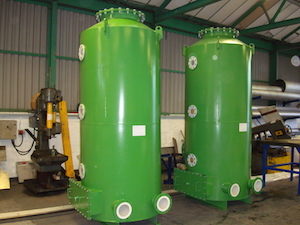 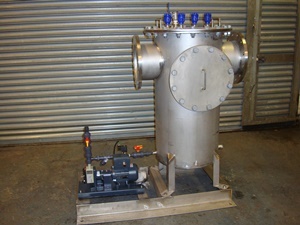 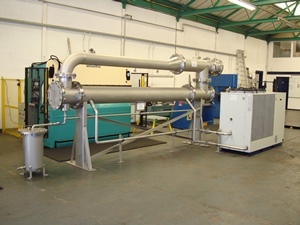 These biogas reheaters are designed to use the available hot water from a CHP generator. 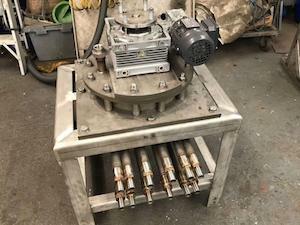 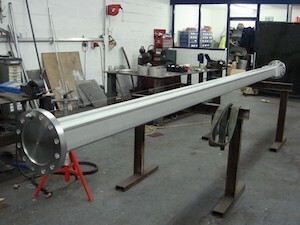 If hot water is not available then reheating using electric ATEX rated immersion heaters is another option to consider.